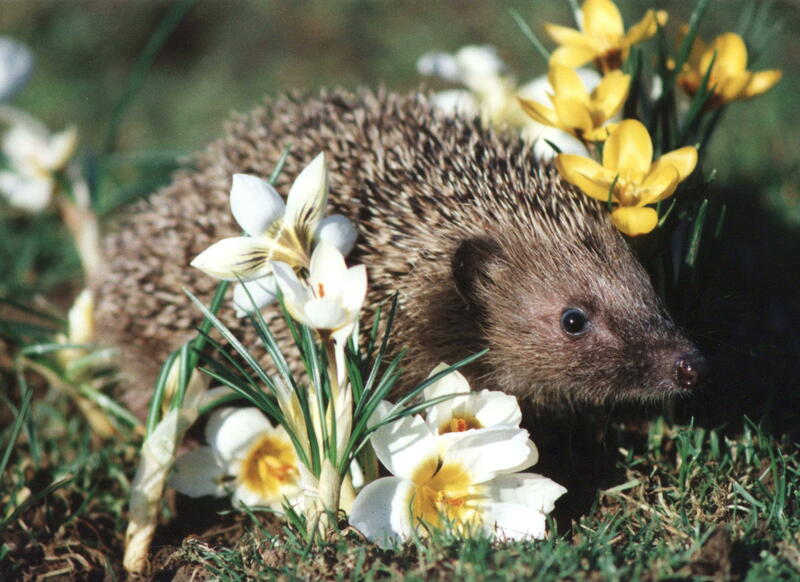 Probably the most easily recognisable of Britain’s wild mammals, hedgehog numbers are unfortunately in decline. 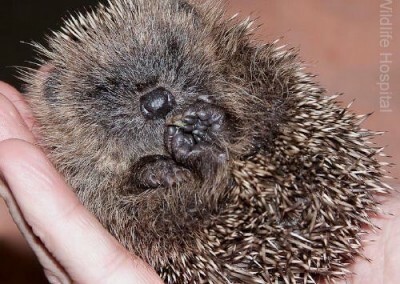 Despite this, the hedgehog is still the most common mammal admitted to Vale Wildlife and it is also the species that seems to suffer from just about every infection going! Hedgehogs are nocturnal creatures and if you find one out in the daytime it usually indicates a problem. In these cases dehydration is a big risk and can quickly kill an animal so it is important to get advice from your nearest wildlife centre as soon as possible. Before doing this, put the hedgehog into a high-sided box with a towel in the bottom and some meaty cat or dog food and water. It is likely that the hedgehog will disappear if you leave it in the garden while you make your phone call. Every autumn hedgehogs seem to suffer from a massive increase in lungworm problems. 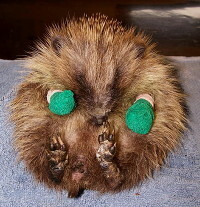 This year is just the same, most of the hedgehogs coming in to us have a heavy burden & need treatment. Our treatment regime is working brilliantly, but people need to look out for underweight juveniles out in the day. 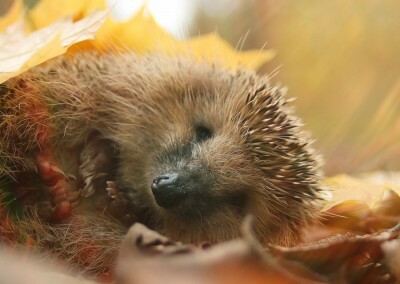 Hedgehogs go into hibernation when the weather is very cold although they do wake and forage for food if we have milder spells. In order to survive the winter, hedgehogs need to have enough fat reserves to survive. 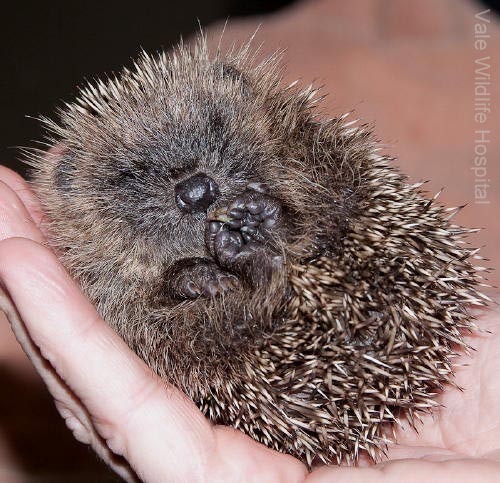 If they have not reached 450-500gms by the end of October, they may need to be taken in to care – please contact your nearest wildlife rescue or hedgehog carer for advice. The best food to give to a hedgehog is a good quality, meaty cat or dog food and cat complete biscuits. Fresh water should always be available. 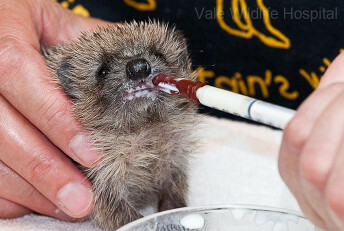 The old ‘bread and milk’ advice is now known to be extremely harmful to hedgehogs. Cows milk can even be fatal to them as they cannot digest the high lactose (a natural sugar) found in it. 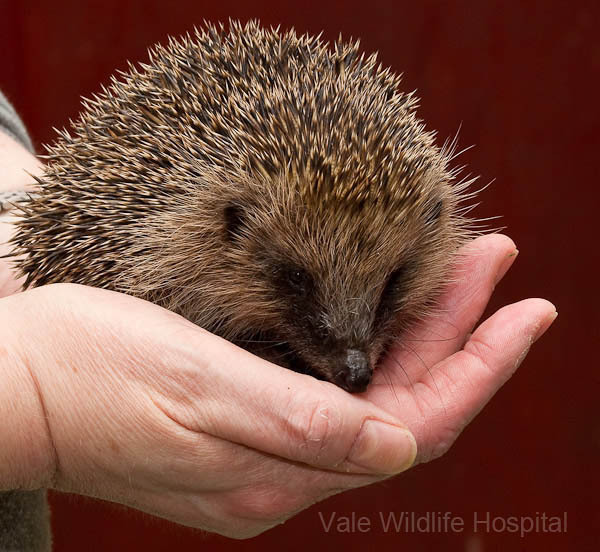 We treat between 800 – 1,200 hedgehogs every year at Vale and we often have 200+ in care throughout the winter, each one costing over £5 per week for food alone.